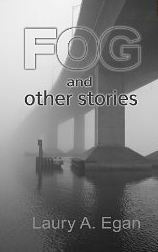 23 stories in the collection deal with the metaphorical concept of fog as a state produced by grief, mental illness, love, anger, dementia, pain, prejudice or dreams and how the human being refracts reality through these diffused prisms. Several stories feature Sandy Hook, Atlantic Highlands, and Highlands. The Historic Highlands are known as “where the Jersey Shore begins,” and in its long life, its residents and visitors have contributed to a rich, vibrant past. In this book, local historian John King compiles over eighty stories authored by more than forty Highlands residents who have experienced life here and embrace its heritage. Some of their tales deal with aspects intrinsic to the region, such as clamming and vacationing summer tourists. Some are thrilling accounts from the days of Prohibition, when rumrunners used the shores as ports for illicit booze. From everyday life, to World War II, to sailing and famous residents, discover the history of Highlands, New Jersey. The Highlands was first sighted by Henry Hudson himself and is known as the place where the Jersey shore begins. Its beaches are perennially crowded with sunbathers, swimmers and families. But buried under the sands, the Highlands hides sins from the past. Sandy Hook claimed North America’s first European murder victim, a crewman on Hudson’s Half Moon. During Prohibition, mobsters supplied Bay Avenue businesses with plenty of booze. A man accused of shooting another with a cannon performed an Old West style jailbreak. And sometimes, soldiers stationed along the shores caused more trouble than they prevented. Read about these and other wicked deeds committed in New Jersey’s Highlands. Visitors gazing out over the Highlands of coastal New Jersey might never guess that these rolling hills have been a stage for mankind s darkest deeds. In his thrilling new book, Murder & Mayhem in the Highlands, John King shines a spotlight on the region s violent history of kidnapping, murder, smuggling and extortion. From axe-wielding lunatics to killers who leave calling cards, King presents each case with the care of a criminal investigator, including details from coroners reports and witness testimonies. Henry Hudson Trail: Central RR of NJ’s Seashore Branch (Images of America: New Jersey) The Central Railroad of New Jersey’s Seashore Branch provided rail and boat services from New York City to points along the New Jersey Shore. It discontinued passenger service in 1966, with the last freight train operating in 1983. Official abandonment proceedings sparked the need to keep the right of way for future mass transit needs. This led to interim use. Today, the area is called the Henry Hudson Trail and is one of over 500 parks referred to nationally as a Rail-Trail. This free, ten-mile-long, hiking, biking, and walking trail is administered by the Monmouth County Parks System, and connects several towns of the Raritan Bay shore area. This rare look will enlighten trail users through images of views gone forever, while pointing out structures still in place. Over 200 images are set in geographical sequence to guide the reader along the trail. Swamp Willow Author: Edwina Elroy Waterfront Story of brawling Sailors, Rum-Runners & Molly Tanner, & the Five Men who infleuenced her life. Novel set in the Highlands of the New Jersey Coast; Shacks & Shanties of Tannertown, Red Bank & along the Waterfront. You actually found a book about Highlands NOT written by John King?